The latest global arms race has gone hypersonic. Capable of flying faster than 5000km/h without losing manoeuvrability and lower in the atmosphere than traditional ballistic missiles, hypersonic weapons will offer clear advantages in penetrating missile defences — once they’ve actually been perfected. Though still in development by nations around the world, once fully operational, the missiles are expected to be capable of destroying targets anywhere on the planet within an hour of getting data and permission to launch. The weapons will also lessen the timelines for a response by a nation under attack. 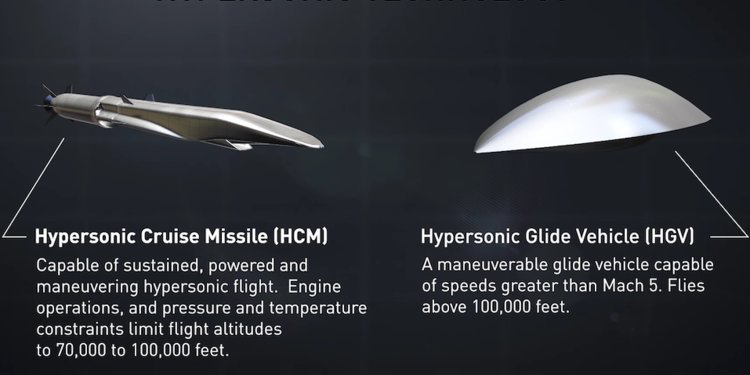 There are two types of hypersonic weapons— hypersonic cruise missiles (HCMs), and hypersonic glide vehicles (HGVs). Both are capable of traveling at mach five or above — roughly 3,800 miles per hour or 340 miles every six minutes — and both are maneuverable. Whereas a ballistic missile can have its flight path determined by momentum and gravity, hypersonic weapons can change direction mid-flight, and keep their intended targets secret until impact. 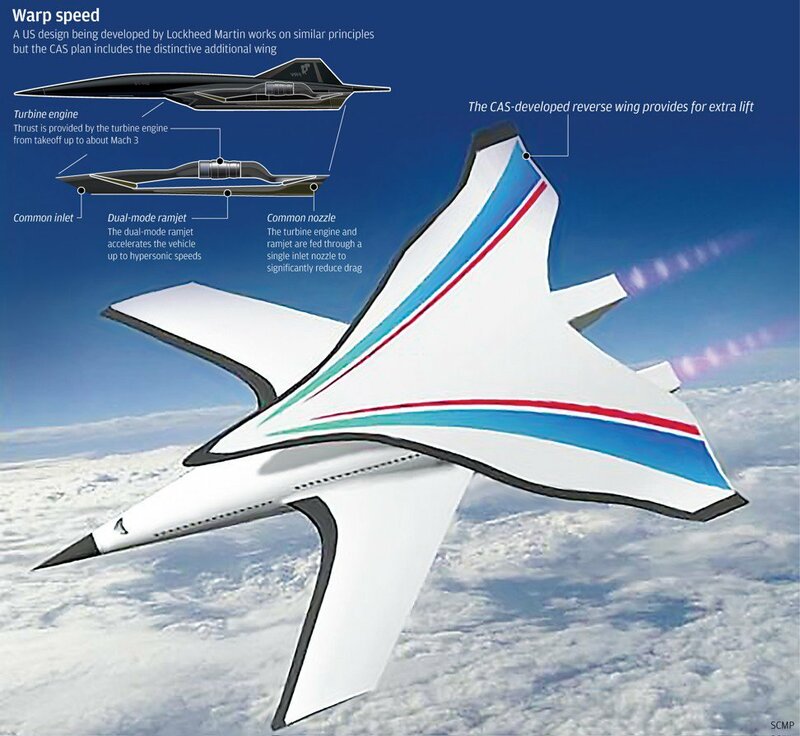 This ability, coupled with their speed, makes hypersonic weapons extremely difficult to intercept. 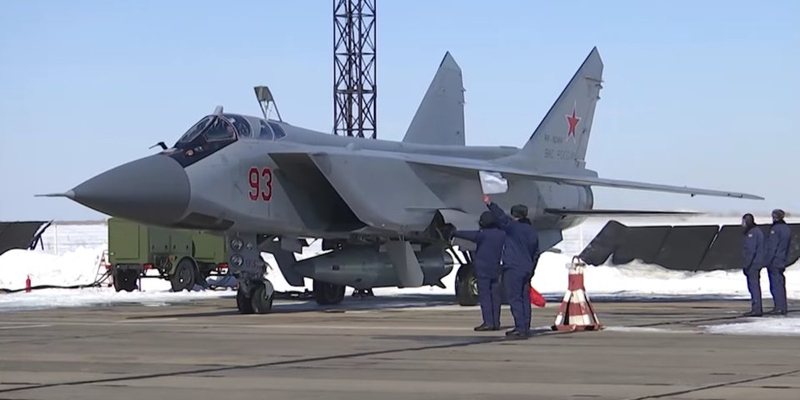 A video of a demonstration launch was released by the Russian Aerospace Forces, and shows the Kinzhal being launched from a MiG-31BM supersonic interceptor. The MiG-31BM itself has a reported range of 1,860 miles unrefueled, which means that the Kinzhal may have intercontinental strike capability. Russia is also working in cooperation with India on another HCM, the Brahmos-II, which was tested in November 2017. That missile reportedly reached Mach 7, and had a range of 180 miles (200 kilometers). The second weapon is the Avangard HGV, which is supposed to be launched from either a UR-100UTTKh or RS-28 intercontinental ballistic missile (ICBM). No photos of the glider have been shown, but a video shows an animation of an Avangard being launched and maneuvering away from missile defenses. Weeks after Putin announced the Kinzhal, US Air Force General John E. Hyten, the Commander of US Strategic Command, was asked how the US could respond to hypersonic weapons. "We don't have any defense that could deny the employment of such a weapon against us," Hyten said. The general said that the only "defense" the US had was the threat of nuclear retaliation, adding, "our response would be our deterrent force, which would be the Triad and the nuclear capabilities that we have to respond to such a threat." China has the only known operational HGV, known as the DF-ZF and reported by the Pentagon as the WU-14. The glider has been tested at least seven times, and has a reported range of around 1,242 miles, or 2,000 kilometers. It has reportedly reached speeds of Mach 5 and Mach 10 — about 3,836 miles per hour (6,173 kph) and 7,680 miles per hour (12,359 kph). The DF-ZF will reportedly be deployed as early as 2020, though some analysts believe that China is still about a decade away from fielding a missile that can carry the HGV. 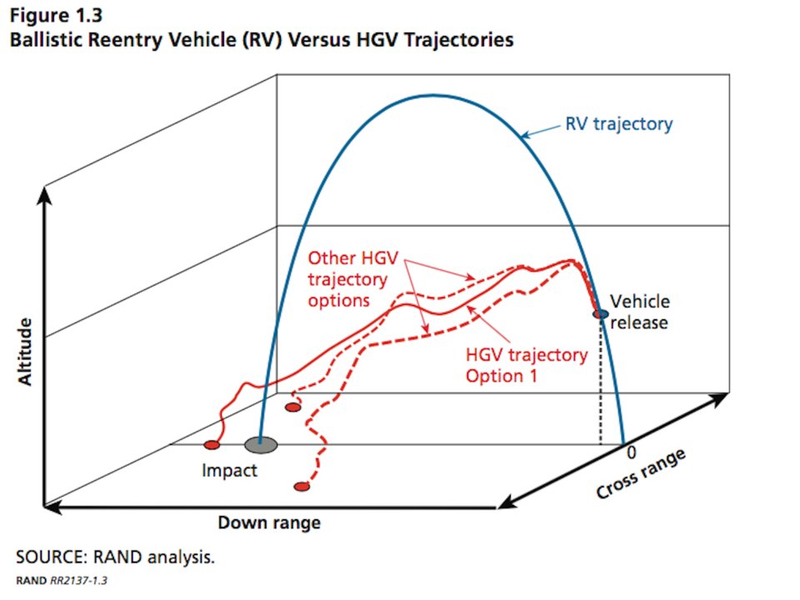 A figure from a RAND Corporation report titled "Hypersonic Missile Nonproliferation Hindering the Spread of a New Class of Weapons" showing the trajectories of a ballistic reentry vehicle used in current ICBMs, compared to a HGV. China is also reportedly building the world's fastest wind tunnel, which it claimed will be able test travel speeds of up to Mach 25 (19,000 miles an hour), considered to be the upper limit of hypersonic speeds. Mike Griffin, the US undersecretary of defense for research and engineering recently said at a Senate Armed Services hearing that "China has fielded or can field ... hypersonic delivery systems for conventional prompt strike than can reach out thousands of kilometers from the Chinese shore, and hold our carrier battle groups or our forward deployed forces ... at risk." He added that the US does "not have systems which can hold them at risk in a corresponding manner," that the US doesn't "have defenses against those systems," and that "we will, with today's defensive systems, not see these things coming." 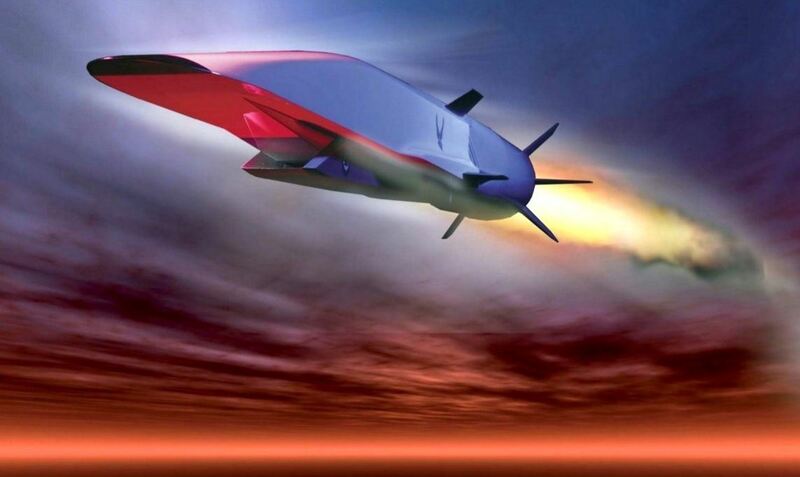 Compared to these developments and the numerous statements by US officials warning about the danger of falling behind Russia and China in the race for hypersonics, there is a belief that the US may already be last place. But some experts cast doubt on those beliefs, at least in some ways. 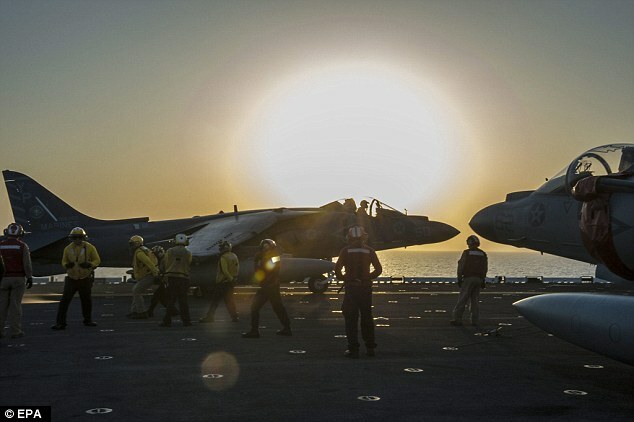 "The evidence available in the open source suggests to me that the US is still the leader in these technologies," James Acton, a senior fellow and co-director of the Nuclear Policy Program at the Carnegie Endowment for International Peace told Business Insider. He warned, however, that that lead "is not guaranteed forever." 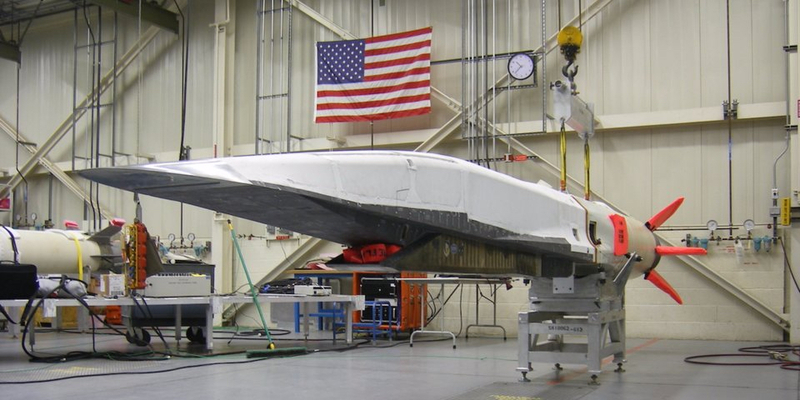 Acton points out that the US has been researching hypersonic technology for over a decade. "If you look at the US program holistically, we've done a lot more than Russia and China have," he said. There are at least three different HGV or HGV related projects that the US is undertaking — the Advanced Hypersonic Weapon, which seen at least three tests, the Tactical Boost Glide Program, and the Advanced Full Range Engine program. The US was also one of the first countries to test a hypersonic cruise missile, in the form of the Boeing-made X-51 Waverider in 2010. Additionally, the Air Force recently awarded Lockheed Martin a contract worth up to $1 billion for the development of an HCM. Acton also notes that "Russian and Chinese objectives appear to be a lot less demanding than US objectives." Specifically, Russia and China seem to be focusing on equipping their hypersonic weapons with nuclear warheads, whereas the US is focused on conventional weapons. Hypersonics were "always intended for conventional use," according to George Nacouzi, a senior engineer at the RAND Corporation. "As a matter of fact, one of the potential uses involved not putting a warhead on HGVs at all, since it is going so fast that it could destroy relatively hard targets with kinetic energy alone," Nacouzi expressed. While still extremely dangerous, and challenging to build in their own way, nuclear hypersonics do not require the level of precision that conventional hypersonic weapons require. 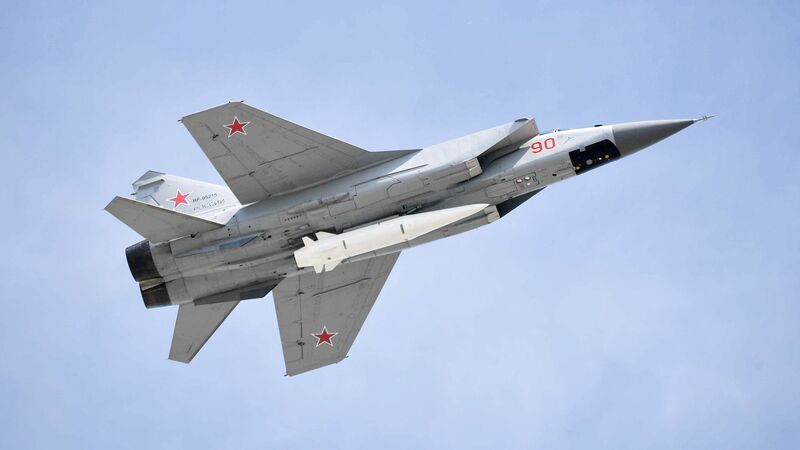 "Every indication is that the US does not have any intention of putting nuclear warheads on hypersonic glide vehicles," Nacouzi said, adding that "it's apparent that Russia and China do plan on equipping hypersonic weapons with nuclear warheads." 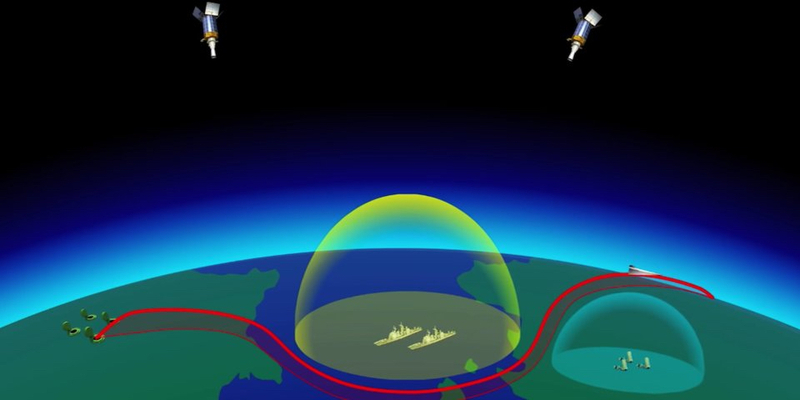 Russian and Chinese hypersonic development is likely focused on defeating US missile defense systems. "Both these nations, China and Russia — especially Russia — have been pretty vocal about their worries about the US' missile defenses. They worry that if the US can defeat their missiles, then their deterrence value goes away," Nacouzi said. 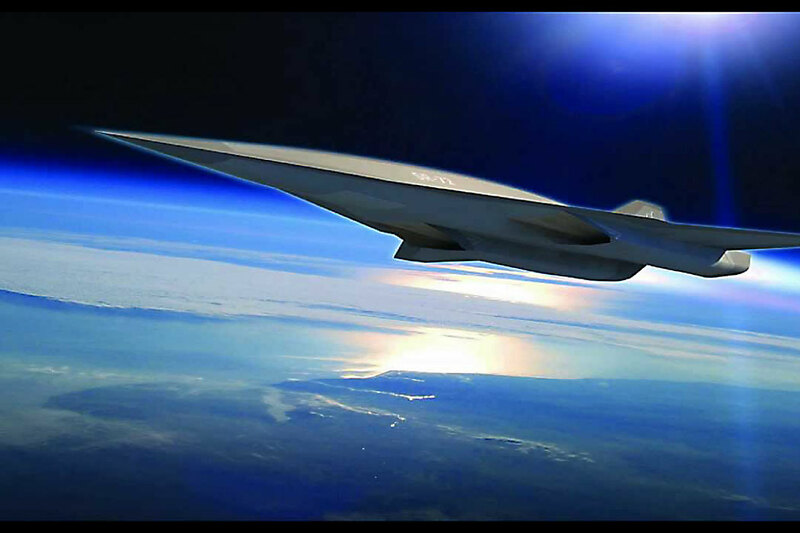 "Hypersonic weapons, specifically hypersonic glide vehicles, would be able to at least get past those defenses," he added. 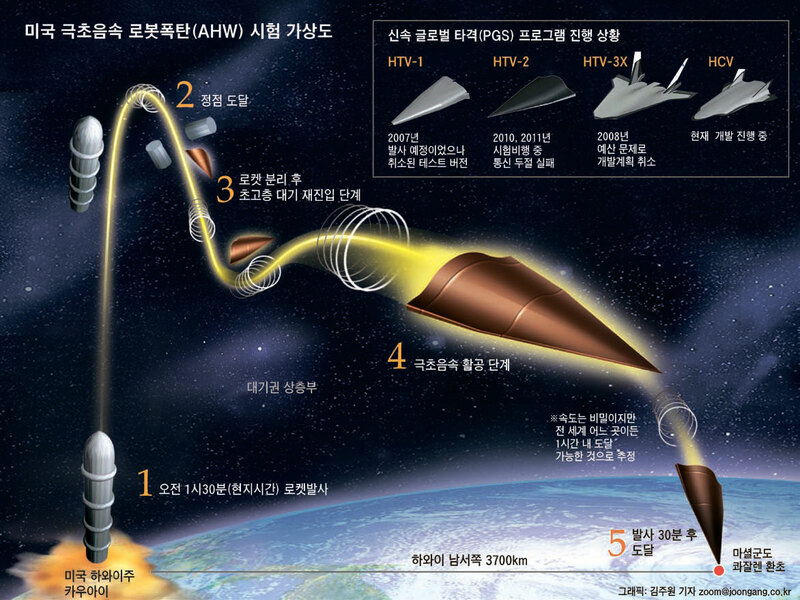 However, it’s not just the US, China and Russia in pursuit of creating a battle-capable hypersonic missile. France, India and Australia among others are also in the race.